Freshly baked bread, delicious pastries, and lunch offerings are available at our bakery & café. 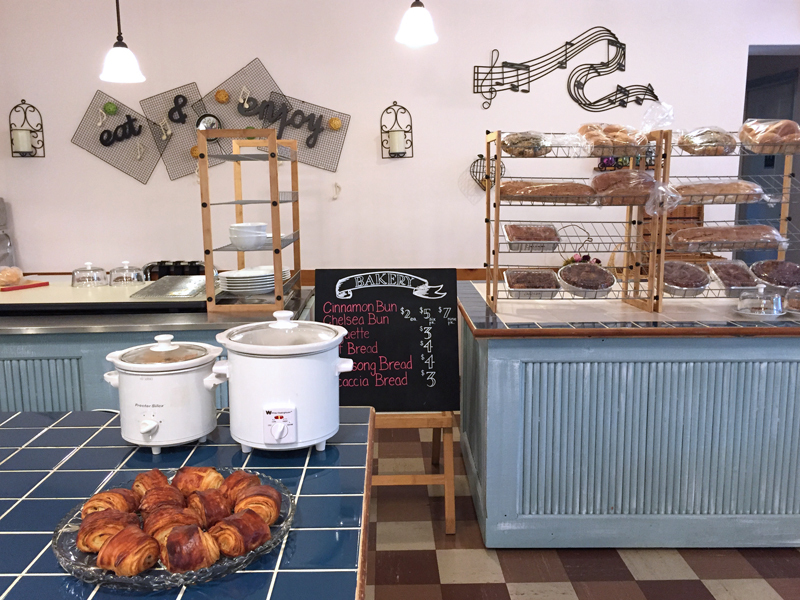 The bakery & café is open Thurs, Fri, and Sat from 9am – 4pm. Groups are welcome. Please call or email Susan in advance to book your daytime meal selection. Breads/mini loaves - RiverSong bread (made with Red River Cereal), oat bread, focaccia, baguette. Pastries and sweets - Chelsea buns, cinnamon buns, angel scones, cookies, muffins, brownies, apple fritter buns, and bread pudding. The baked goods vary from week to week, but Susan is happy to take orders for pickup. Café - Food options (may vary from week to week). Breakfast – served from 9am - 3pm. Options may include: Crustless quiche or alternative egg dish, potato side, fruit, French toast, baked oatmeal with milk/cream, bread/toast, pastries, butter, and jam. Lunch – served from 11am - 3pm. Options are posted each week. 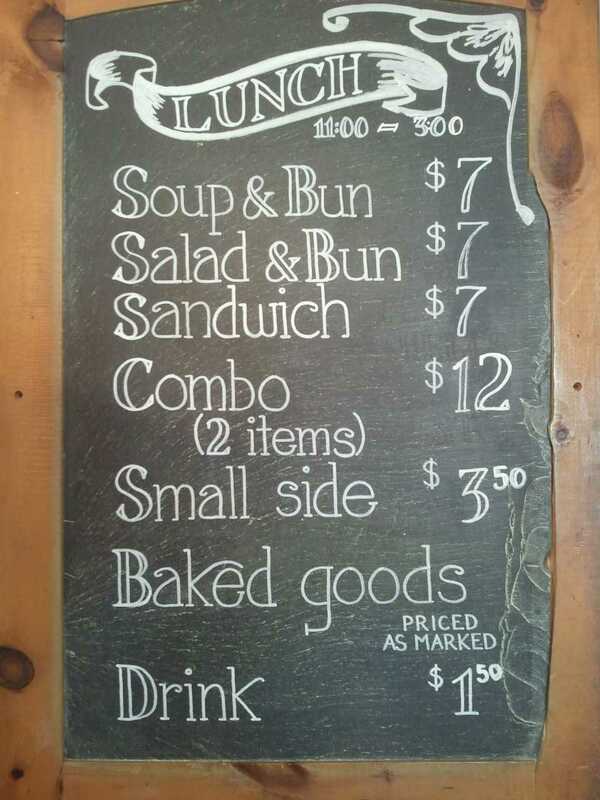 They may include soups (creamy potato soup is a favourite), sandwiches, and salads. Eat in and take the time to enjoy the beautiful grounds or take out. Fresh and frozen meals can be ordered for pickup for families or groups. NOTE: Prices shown below are subject to change.